A school resource officer said he saw a large handgun sticking out of his pants. Police arrested a Florida father on Monday for allegedly bringing a loaded AK-47 to his son's middle school and making death threats towards teachers. 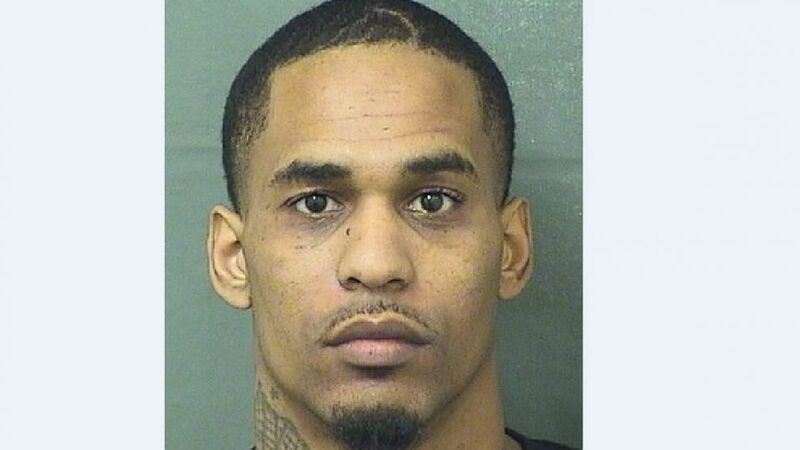 Christopher Freeman, 27, was arrested at Bear Lakes Middle School in West Palm Beach, Florida, around 4 p.m. after a school resource officer told police that he saw a large handgun sticking out of Freeman's pants, according to a police report. Freeman, who arrived in a wheelchair, allegedly told school workers that they would all be dead if they didn't let him speak with his son. (Palm Beach County Sheriff's office) Police arrested a Florida man for allegedly bringing a loaded AK-47 to his son's middle school on Monday, March 11, 2019. "Freeman was visibly upset and was yelling and screaming 'you're going to need more than what you got because of what I got,'" according to the arrest affidavit. "He also said 'I want to see the guy who slammed my son. I've got something for him.'" Freeman told police that he was upset because his son called him crying earlier in the day because a teacher "slammed him," the affidavit said. "While Freeman was speaking with him, his son was grabbed by an adult and his phone went flying out of his hands. Someone then hung up the phone," Freeman said, according to the police report. "Freeman said he was very upset and came to the school." Police said he was armed with an AK-47 Mini Draco pistol with a 30-round extended magazine. The gun was loaded with one in the chamber, police said. Freeman said he purchased the gun from a friend about a year ago and carries it all the time for protection, police said. He said he forgot he had it with him and said he didn't know that it was against school rules. Freeman was arrested and charged with possession of a firearm on school grounds, aggravated assault with a weapon and disrupting the peace. He was being held on a $75,000 bond, but authorities motioned to have the bond revoked, citing a separate active criminal case against him. His attorney, Jack Fleischman, said he plans to fight the bond revocation and hopes to get the most recent charges dropped. "This was more of a misunderstanding than a crime. He had no intention of harming anyone," Fleischman told ABC News. "We're interested in seeing if there is any security video from school because there were allegations about his child being hit." His next scheduled court appearance is April 4. He intends to plead not guilty, according to Fleischman.